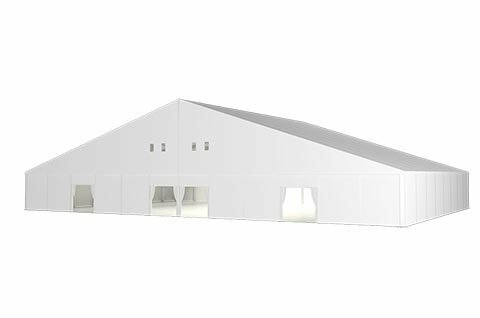 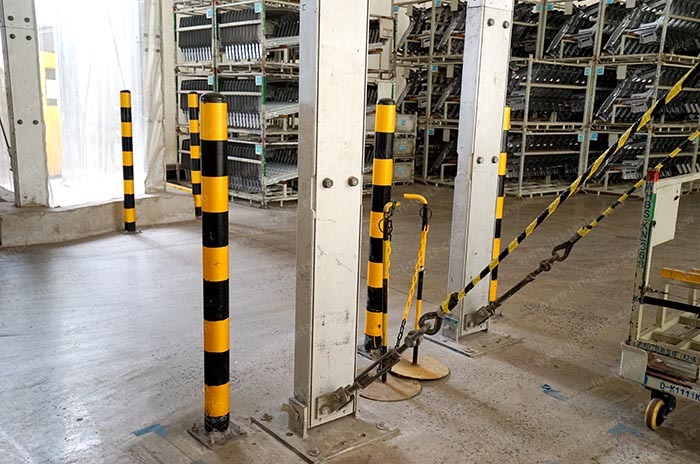 Liri tent develops a new design steel structure tent used for warehouse and storage, which is based on using new environmentally friendly building materials, professional structure design in a standardized, modularized and universal production process. 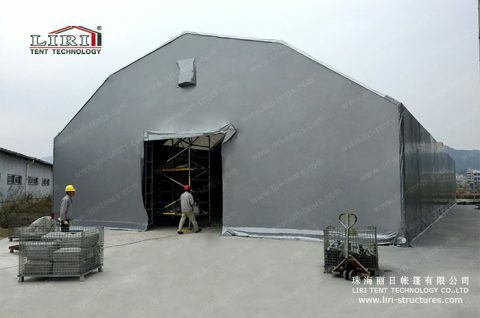 With a standardized assembling, a steel structure industrial tent can be installed efficiently in a short time, so it will provide a very short construction production cycle and save a lot of labor force. 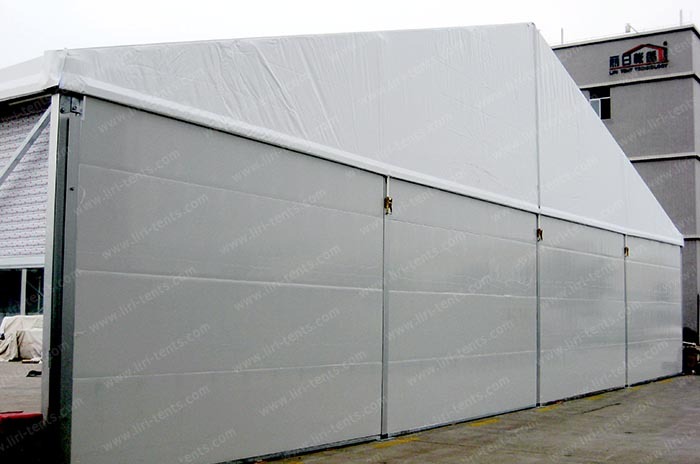 Also, our steel structure industrial tent is an easy installation, same as piling up a building block. 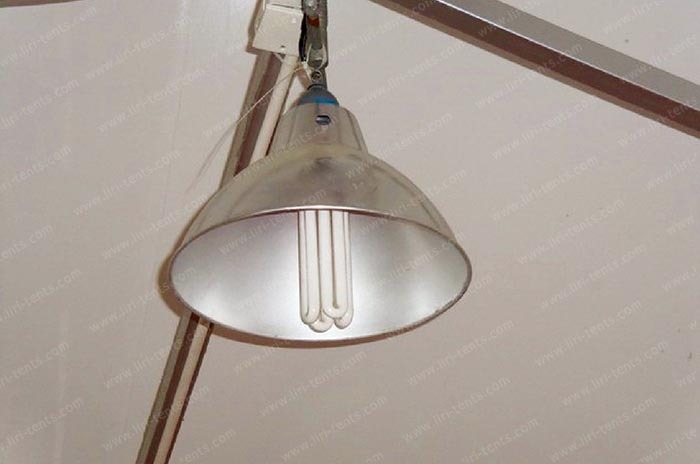 This steel structure industrial tent adopt Q235 high-strength steel for its frame. 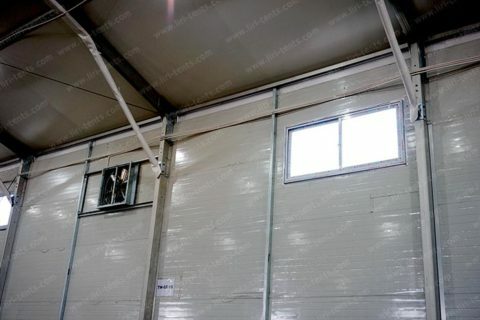 15m Width, 20m length, and 4m side height warehouse tent provide a perfect interior space inside. 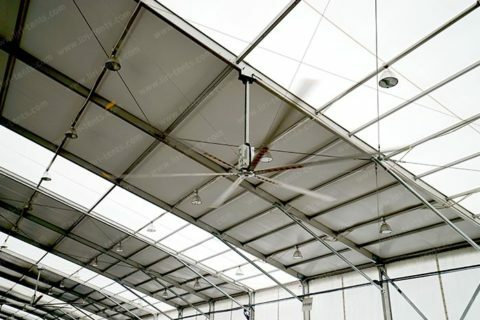 Wind resistance is over 120km/h,0.5kn/sqm. 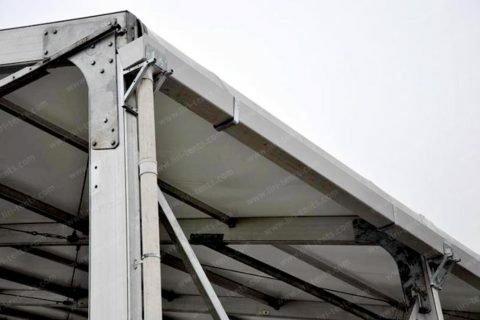 The structure system is strong, fastness, anti-corrosion and restless. 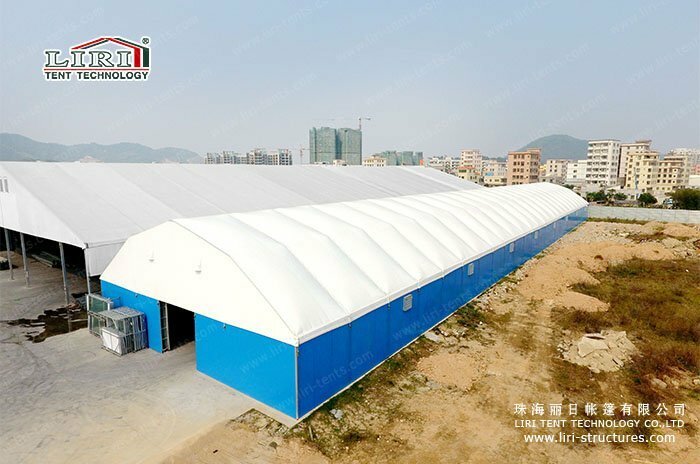 The fabric of steel structure industrial tent adopts double PVC coated polyester, which is block-out, waterproof, UV resistant, fire retardant. 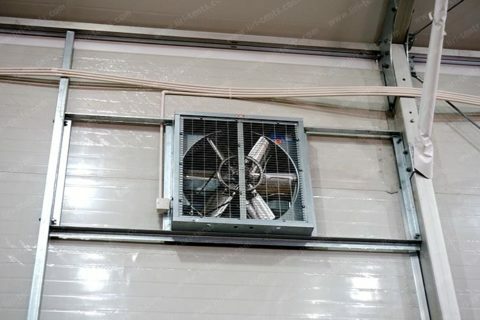 Flame retardant meets German standard DIN4102 B1，M2 and US CFM701. 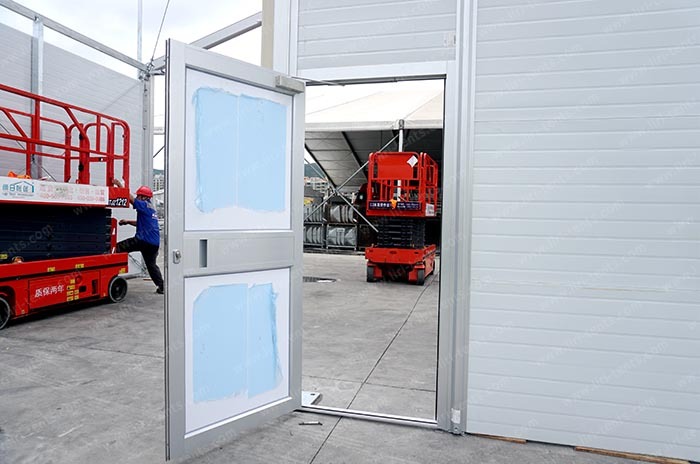 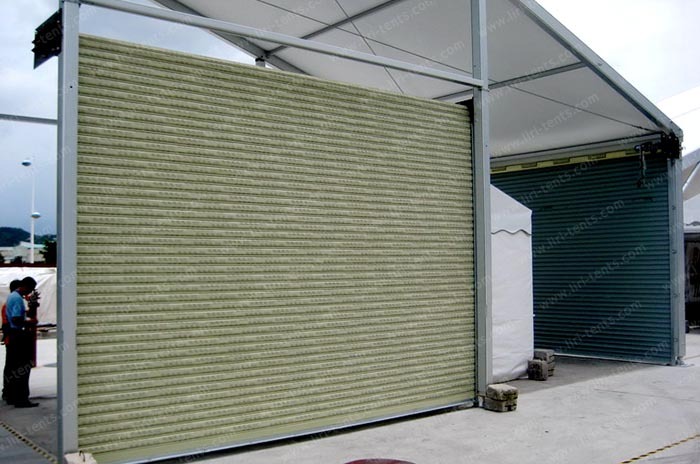 This steel structure storage tent can provide a perfect supporting facility/ accessories to meet all your idea: steel sheet sidewall system, sandwich sidewall system, thermal PVC roof system, PVC fabric, single door, roller door, air conditioner, push-pull glass window and so on. 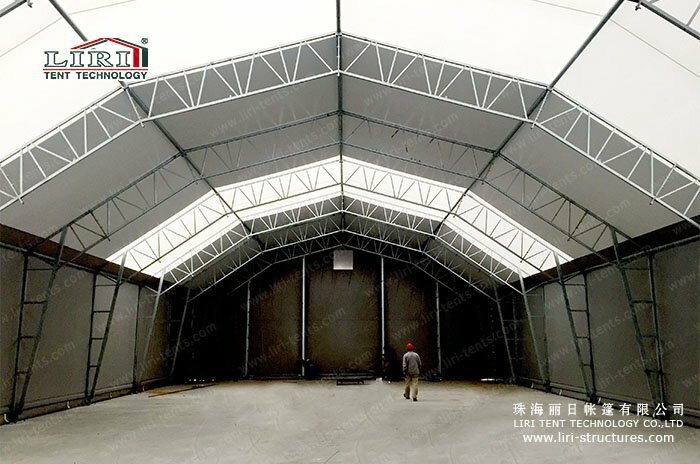 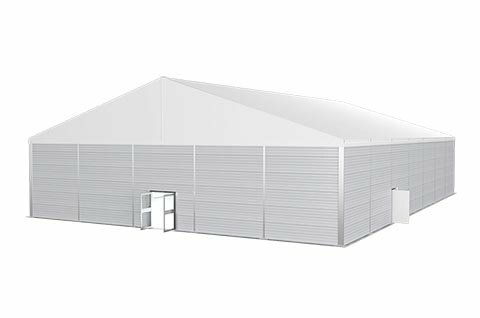 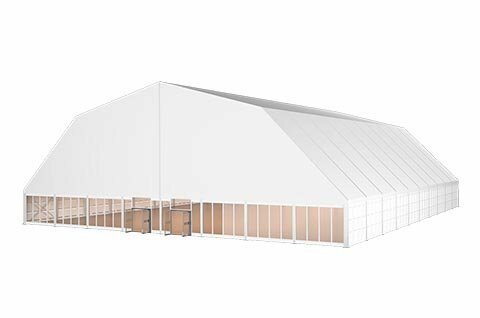 Our steel structure storage tent is not only suitable used as advanced temporary outdoor warehouse tent but also can be used as a large industrial warehouse building. Its advantage is strong, safe, beautiful, easy installation and easy storage and transportation. 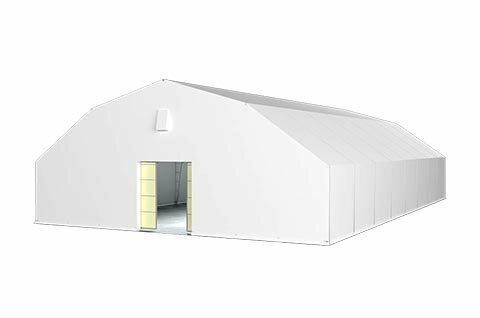 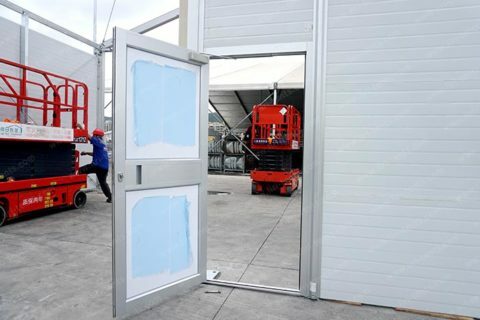 Besides, we can also provide temporary warehouse buildings with aluminum alloy structures. 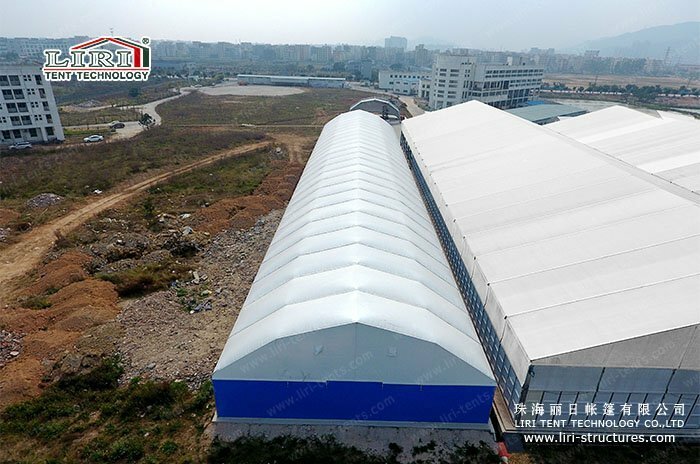 Liri tent always offers one-stop services and various of customized design requirements on the storage tent.